Content Marketing — RandallAnthony Communications Inc.
Our content marketing services span social media and advocacy journalism to video production, distribution and special events. To learn more about these services, please see the briefs below. Customizable: contesting, donations / lead generation, data capture, social sharing and more. 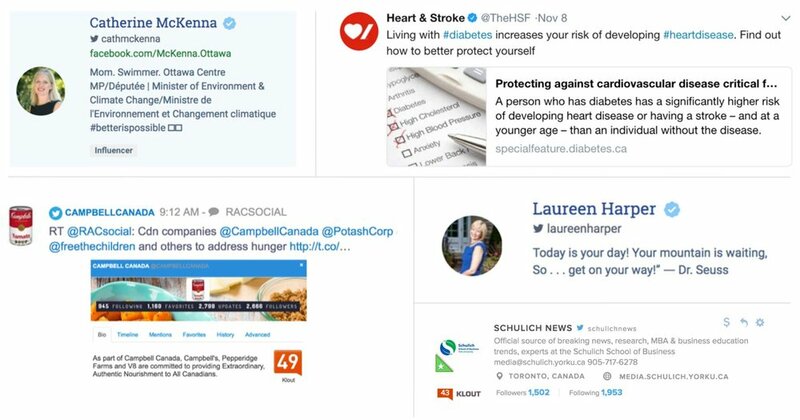 We have led social media and content marketing campaigns for brands including the Canadian Dermatology Association, Financial Planning Standards Council, Nature Conservancy of Canada, Trans Canada Trail and others. Our services range from digital strategy and website development to social media campaign management including organic and paid influencer engagement, paid amplification program management and more. 11% more viewers + almost the equivalent content shares, and 84% of the 2015 campaign's page views – in half the time. Achieved 57% more viewers, 76% more page views + 39% more content shares – in 2/3 the time. Professional writing and editing is a pillar among our core competencies. In addition to our work with The Globe and Mail, we are pleased to produce articles for a range of publications and organizations. We are pleased to offer video production services through our longtime partners at Q Media Solutions in Toronto, a creative shop trusted by diverse brands including The Globe and Mail, Scotiabank, Barrick Gold, YMCA, Purpose Investments and countless others. Specializing in branded content, commercials, interactive media and other forms of video and digital story telling for more than 20 years, Q Media joins RAC as a regular contributor to The Globe and Mail’s Custom Content Group. Here is a link to a segment from our 2013 HSBC Global Asset Management print and digital campaign, just one of the many RAC-Q Media collaborations. When it comes to special event management, few Canadian organizations compare with MVKA Productions. Over the past 30 years, MVKA has built a worldwide reputation for excellence in special event productions including the 2014 Hockey Canada Awards, the 2011 JUNOS and countless boutique events for brands including Ferrari and others. We are proud to work with MVKA founder and CEO Martin van Keken, and bring content marketing strategies to life through MVKA special events.